Improvisation can be, among other things, a kind of spontaneous composition. Two improvisational trios whose common element is Sardinian double bassist Adriano Orrù are exquisitely aware of this and play accordingly. The Palimpsest Trio, made up of Orrù on double bass, Silvia Corda on piano, and Paulo Chagas on reeds, and the trio Orrù Mar Rocha, in which violinist Maria do Mar and clarinetist/bass clarinetist Luiz Rocha join Orrù, take approaches to improvisation which have in common a grounding in compositional principles, while differing in the details. The Palimpsest Trio’s concern for compositional values—for choosing and putting elements into balanced relationships—is apparent even in the title of their new release, Stanze. A stanza (plural “stanze”) is a compositional unit in poetry as well as Italian for “room” or “stopping place;” the common meaning is of boundary or limit, and by extension a container of discrete measure which can function as a constituent part among parts comprising an appropriately proportioned whole. Terms like “proportion,” “room” and “balance” bring to mind architectural properties. And in fact the nine tracks making up Stanze are permeated by an intuitive concept of musical architecture. For Orrù, Corda and Chagas, architectural balance takes multiple forms. First is the basic push and pull of very different timbres and articulations holding the strings, piano and reeds in an elastic tension. Sounds are placed with care beside, beneath and above one another, resulting in textures that highlight timbral contrast or concord as the moment requires. Corda’s piano is mostly a sparse, staccato source of vertically-stacked tones; Chagas’ legato lines add a fluid, vocal quality to much of the music; Orrù’s use of bowhair and wood, fingers and foreign objects to excite the strings builds a polychromatic bridge between percussion and wind. The evocative Aubade, with its modal sax melody, is a good example of how this dynamic plays out. Just as important as timbral balance is the balance between filled and empty spaces. Orrù, Corda and Chagas use staggered and coincident rests as fundamental elements for collating phrases into larger, collective compositional units. This is evident on all tracks, but most especially on Enjambements, where open spaces play as significant an overall structural and expressive role as sounds. 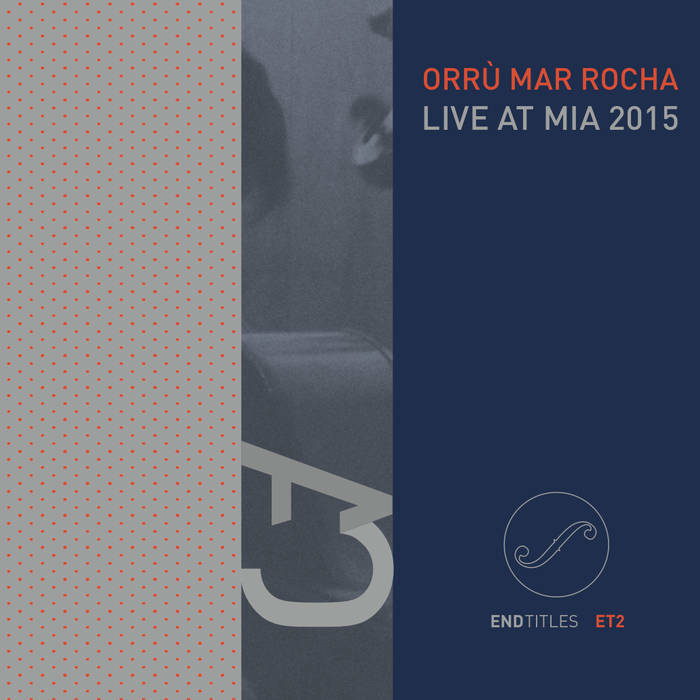 In contrast to the Palimpsest Trio’s use of substantial blocks of empty space as structural elements, Orrù, Mar and Rocha build their performances more out of the timbral interplay of instruments that overlap substantially in sound color. Over the course of two pieces recorded live in Portugal earlier this year, the three weave an often dense texture of contrasting and complementary colors and articulations. Their instruments’ capacity for braiding long, sustained tones is demonstrated right from the opening of the first piece. The arco double bass and violin sometimes sound like a single stringed instrument of unusually wide range, while the registral coincidence and timbral similarities of bowed bass and bass clarinet are capable of blending into one seamless sound. At the same time, the three are more than happy to explore the unique sound profiles of their individual voices, creating often intense passages of starkly opposed timbres that effectively play off of the surrounding moments of instrumental confluence: Broken figures emerge from a smooth field, which eventually reabsorbs them. Despite outward differences, what each of these pieces by both trios share is a meticulous placement of sound and a nuanced internal balance among three independent voices. Close listening is the prerequisite for doing this successfully, and as both of these recordings amply demonstrate, that is a skill that these five fine improvisers have in abundance. 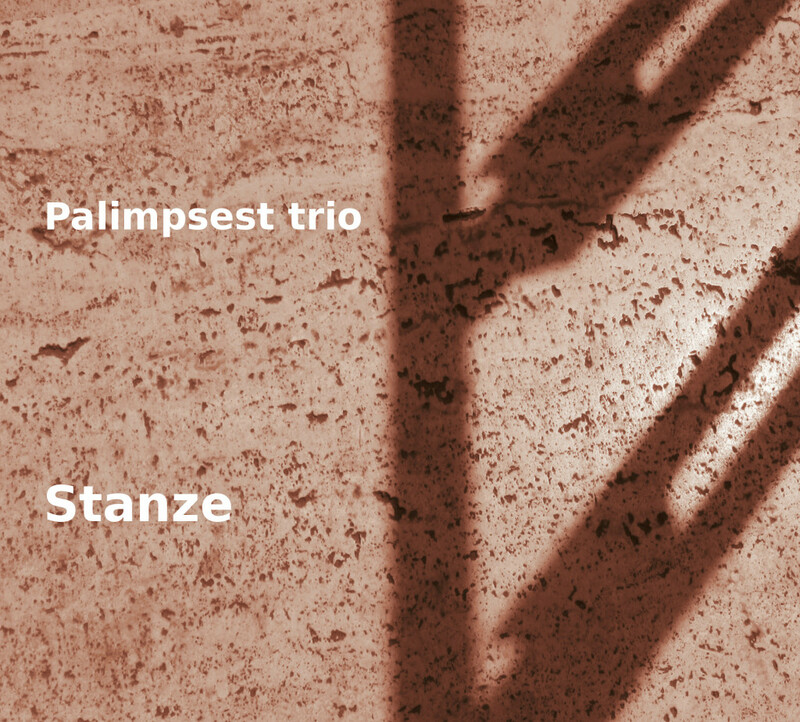 Pingback: kind words for stanze by palimpsest trio!